If a perfect 14-0 MMA record doesn’t earn you a title fight, then there isn’t much else that Lyoto Machida can do. Fortunately enough for the Brazilian, he will finally be getting his shot at the Rashad Evans’ strap at UFC 98. Although he has posted wins over the likes of Rich Franklin, BJ Penn and Tito Ortiz, it took a long time before Machida sold UFC president Dana White and the organization’s fans that he was worthy of fighting in a 5Round affair. 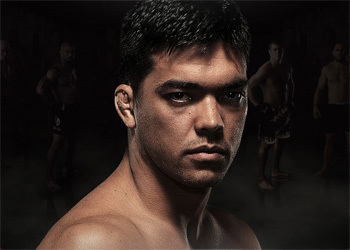 Many thought that after his dominating performance over Ortiz at UFC 84 last May, Machida was destined to face off for the title in his next Octagon appearance. But with the unpredictability of the UFC’s 205-pound division, Machida got lost in the mix. In addition, Machida’s effective, yet unpopular, elusive style was seen as a difficult selling point for the UFC. However, White thinks Machida may have dropped that stigma as quickly as he did the dangerous Thiago Silva in their bout at UFC 94. “I think he’s going to be one of the greatest fighters in MMA, and every time he comes out to fight, he proves it more and more. … He looks better every time he fights,” White said. Machida knows that UFC fans like action, and he is consciously trying to provide that for them. He would like nothing more than to make all of the fans happy.